**This weekend (Sat 29th/Sun 30th November) The ScentSicles lumberjack is on a special mission at Longacres to ask our customers to take the "Can you tell the difference?" blindfolded sniff test! ** Artificial Christmas Trees make a delightful addition to homes at Christmas time; the way they look, the way they feel, the fact that they don’t make a mess and some even come with added berries/snow/pine cones for more authenticity. 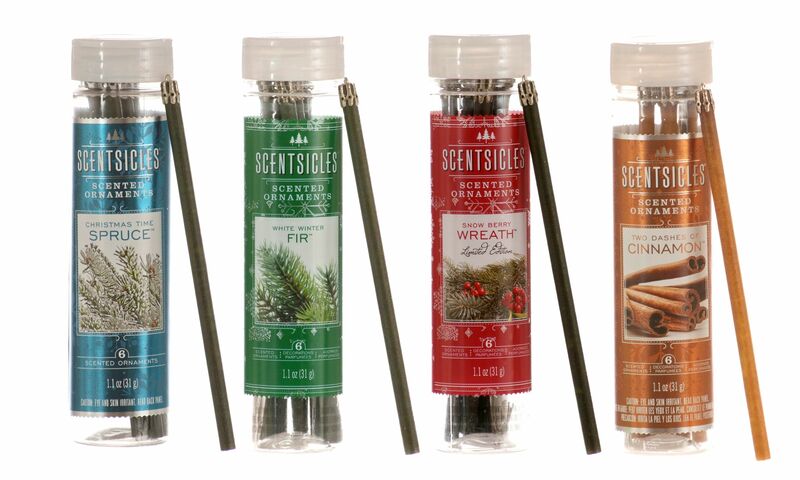 The only thing they lack is that wonderful natural scent of that real Christmas trees emit, and this is where ScentSicles have revolutionized Artificial Christmas Trees. What are they? ScentSicles are scented hanging ornaments that come in a variety of four different scents: Christmas Time Spruce, White Winter Fir, Snow Berry Wreath and Two Dashes of Cinnamon. Easy to hide within trees, garlands, wreaths or other décor, ScentSicles provide a discreet way of infusing a festive fragrance throughout homes. Perfect for you're own home or even as party gifts or stocking fillers! How do they work? 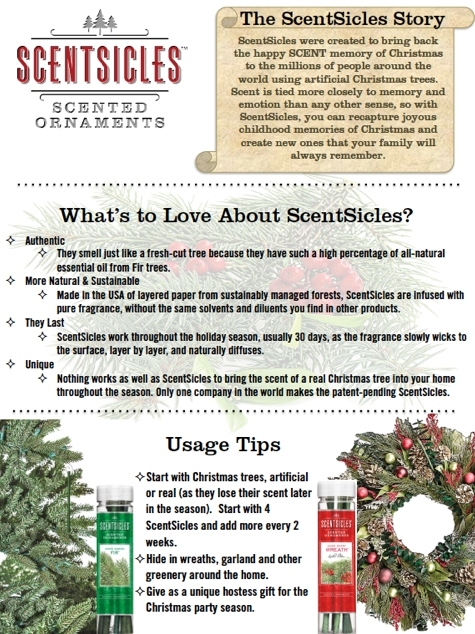 ScentSicles are sticks that have been made from tightly rolled (all-natural) biodegradable paper. Layer by layer, the scent slowly climbs to the surface, constantly exuding the fragrance until there is no more (after roughly 30 days). Each tube comes with 6 sticks. It is recommended that 3 or 4 are put on a Christmas tree at a time, but it would certainly be worth starting with one and adding more as necessary. Which variety should I get? You might be looking for a truly genuine smell of a Christmas tree, in which case White Winter Fir or Christmas Time Spruce will be the scents for you. Alternatively, Two Dashes of Cinnamon or Snow Berry Wreath will be more up your street for those of you wanting a sweeter scent that still radiates those classic festive aromas. [embed]http://www.youtube.com/watch?v=5jkdbxOahB4[/embed] Whether you take our word for it or need to smell it to believe it, at a great price of just £5.99 per tube ScentSicles are sure to sell quickly - so be sure to not miss out! Available both in store and online at Longacres.